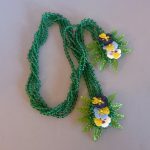 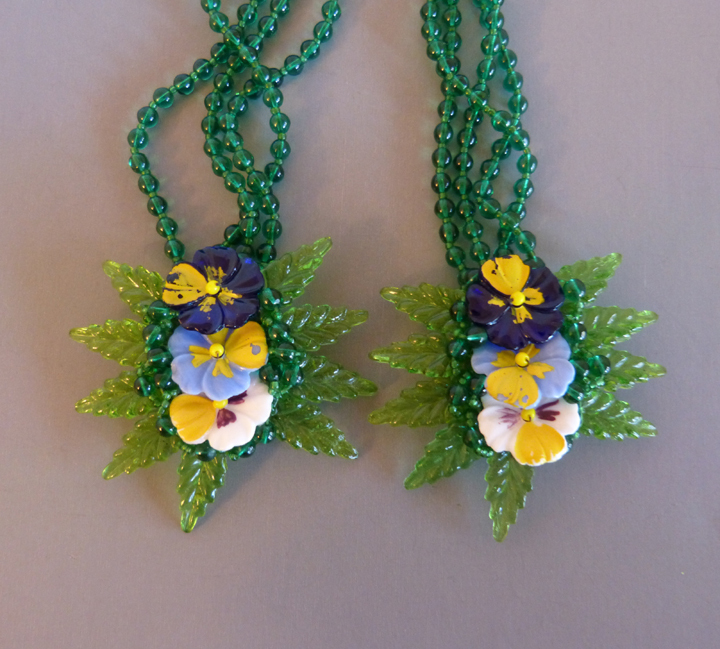 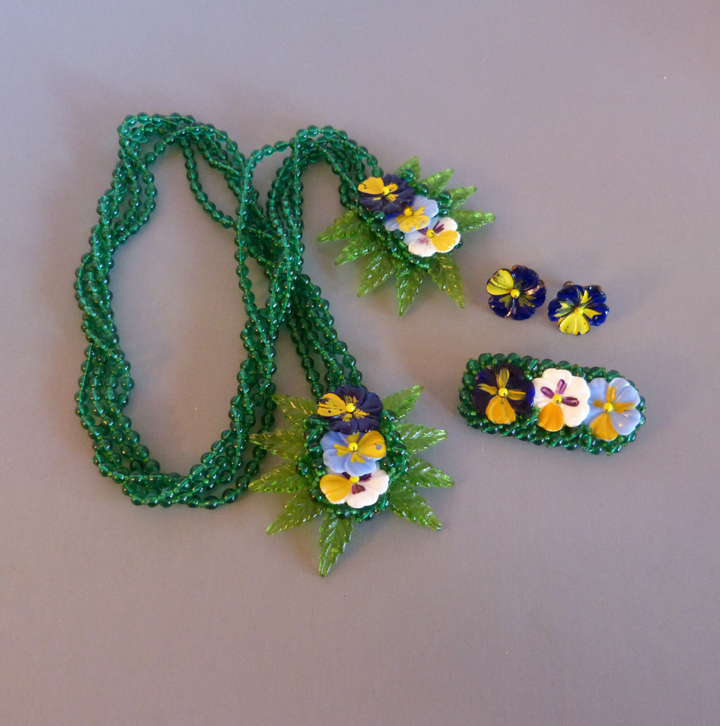 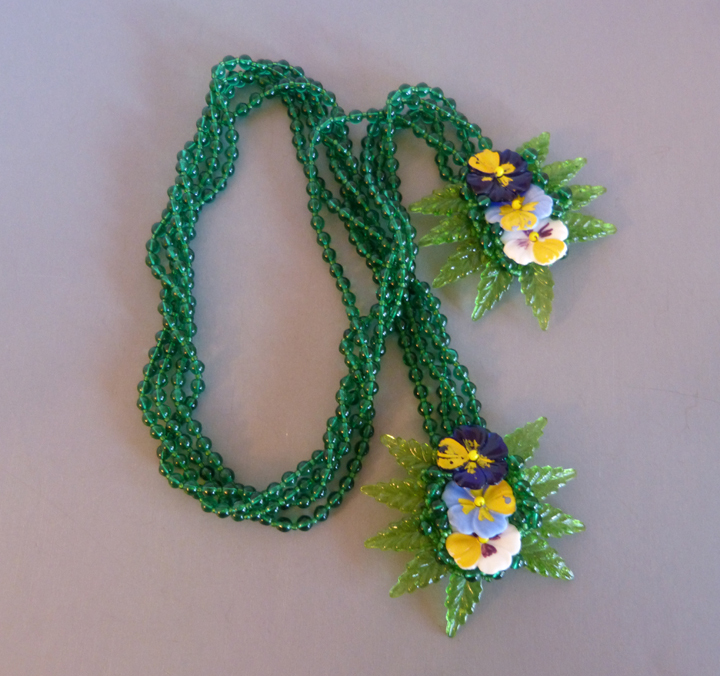 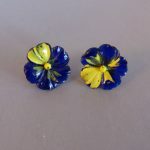 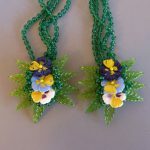 MIRIAM HASKELL Hess painted milk glass violets and green glass leaves and beads lariat necklace, brooch and earrings. 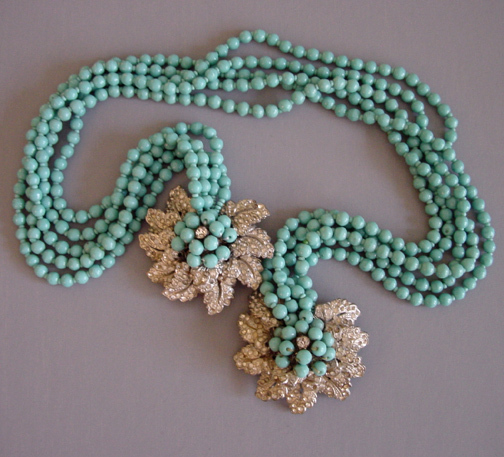 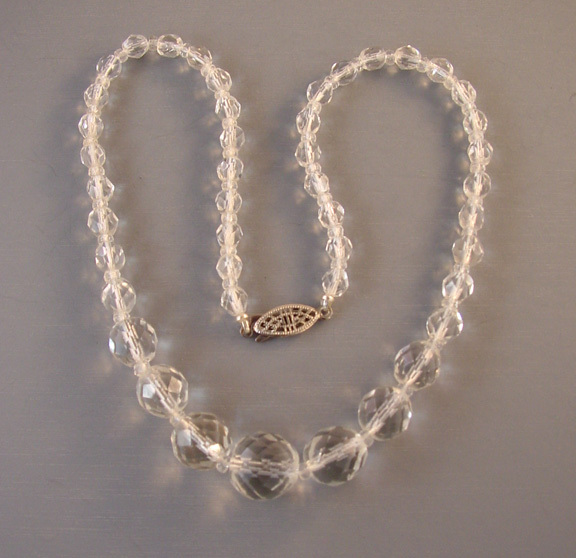 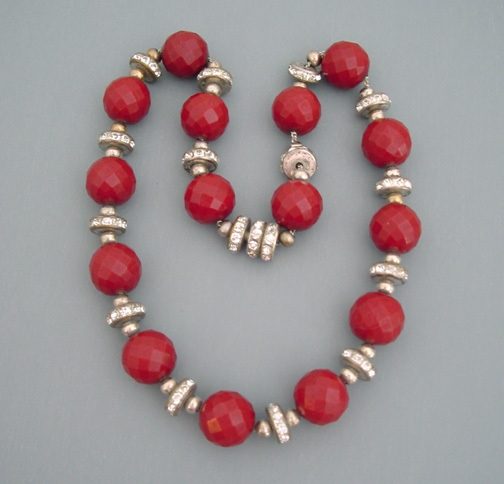 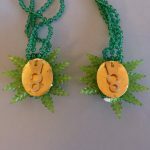 The necklace is 26" in length including the two end clips. 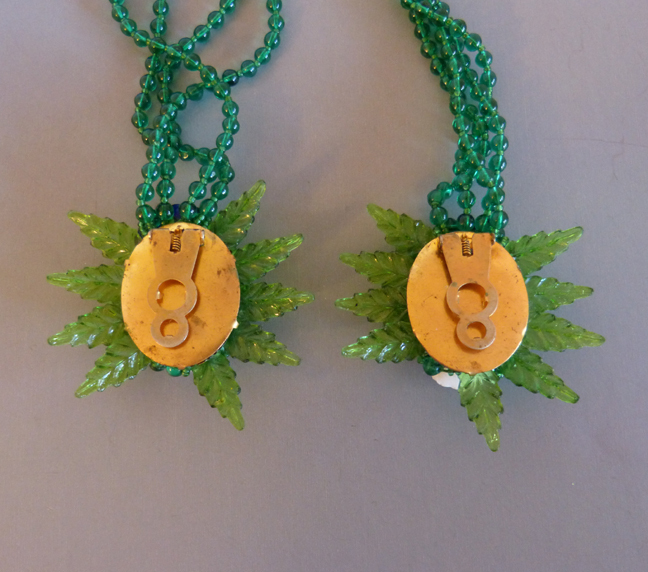 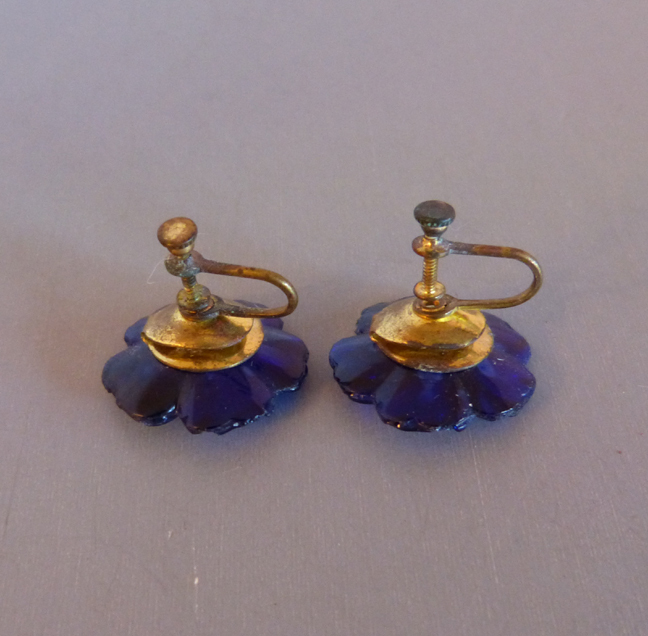 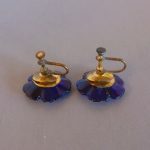 The brooch is about 3" by 2-1/2", the brooch is 2-1/3" and the screw back earrings are 7/8" across. There's a bit of the paint missing here and there, but not enough to detract. 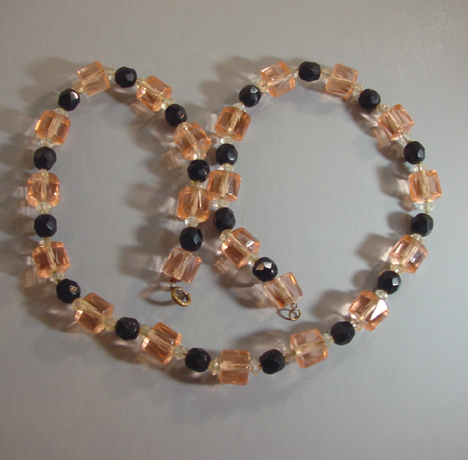 A Frank Hess design for Miriam Haskell, these are not signed as was typical for this era, circa 1940.